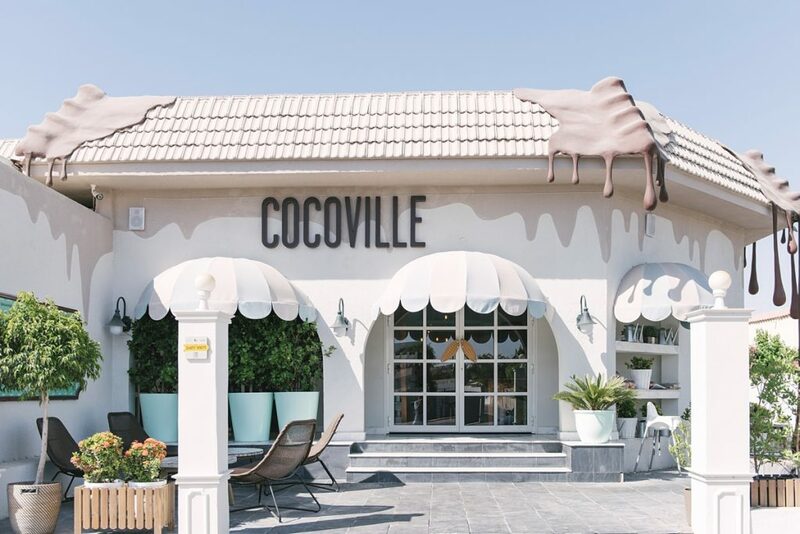 With the heat escalating in sunny Dubai, we’ve been exploring indoor locations to shoot in, which is how we came across the prettiest gem that is Cocoville. 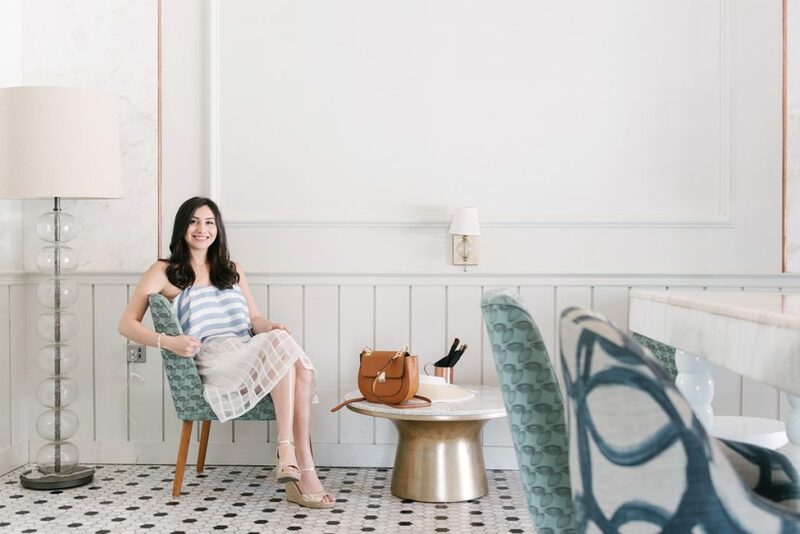 When planning a lunch or coffee date with a friend, the number one priority is a tasty menu, but finding an instagram friendly spot is a major plus. Cocoville has all the makings of the ideal coffee shop. 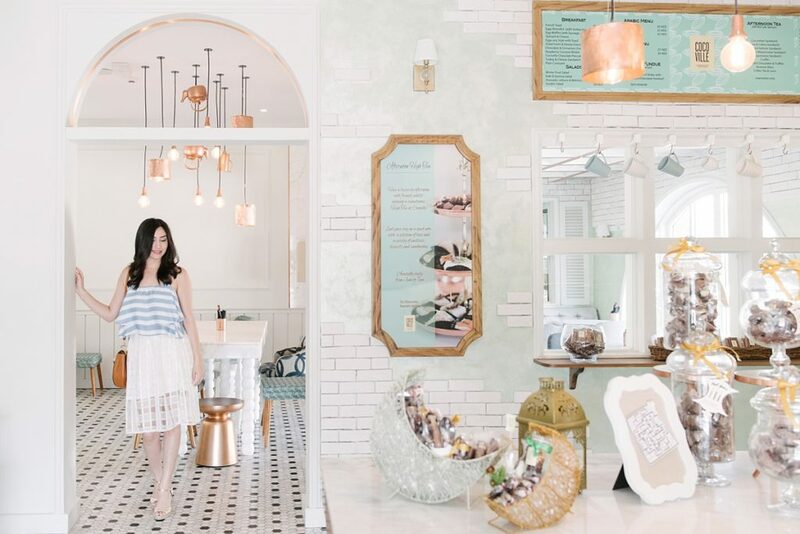 From the quaint white and mint walls, the coppery elements and cute chairs, to the marble white table tops and a floor to make you the envy of all the ‘from where I stand’ hashtag users. 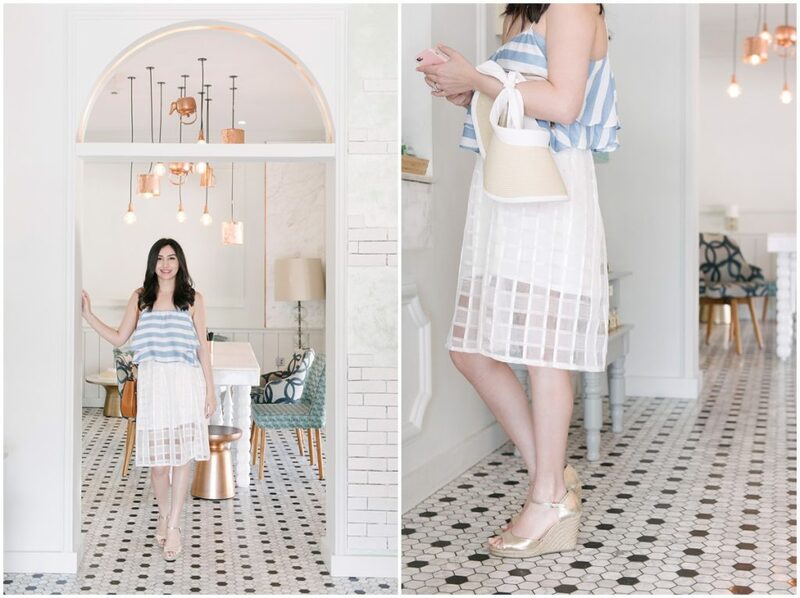 I think my outfit matched pretty nicely with decor, and I’m just loving blue and white this summer. 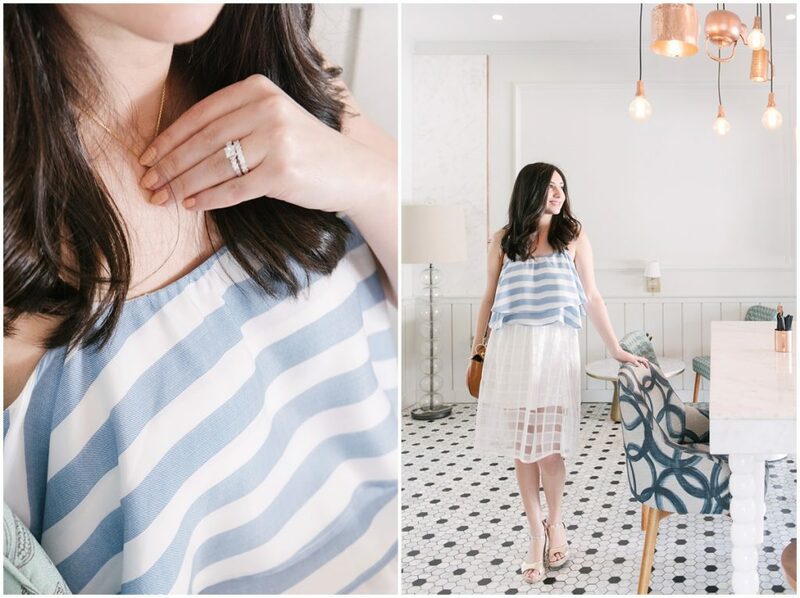 The striped top and checkered skirt combination is my personal take on mixing prints. The light was pooling in so beautifully, giving the space a homey and serene atmosphere. Now back to the chocolatey menu. I am one of those people who discovered hot chocolate a little later in life, so I immediately became addicted to it and will drink it all year round. Cocoville’s specialty is mainly everything chocolate, with a variety of candies, cookies, truffles and chocolate covered everything. 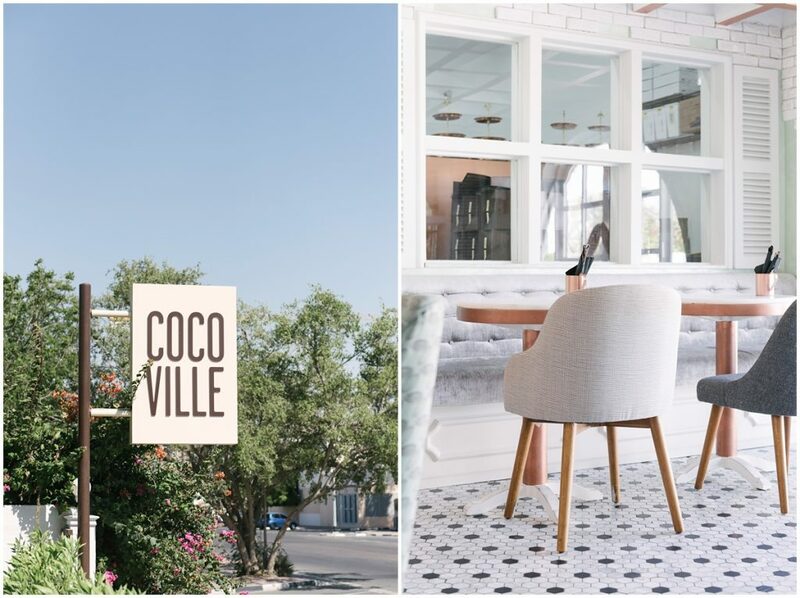 If you’re a fan of sweets and a bright sunny space, I think you should pay Cocoville a visit as soon as your next craving materializes. 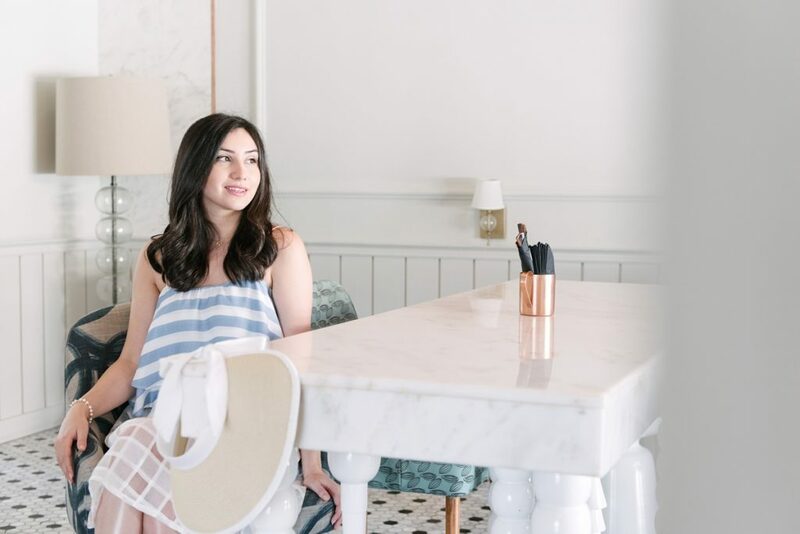 Are there any cute cafes or restaurants in Dubai you love to visit often? I’m always looking for new places to try and would love to hear your recommendations! Flounced Top: Berksha | Checkered Skirt: Namshi | Wedges: New York & Company | Bag: Aldo | Hat: Mango.